New Real Estate Info System - 2019 Assessment information. The Real Estate office is responsible for maintaining all real property records for the purpose of assessment and taxation. Transfers of ownership of property are performed by obtaining deed transfers, deeds of correction, lists of heirs, wills and other records from the Clerk's office. It is important to maintain timely recordings of transfers to ensure actual owners of property are assessed and taxed. The Real Estate office conducts the general reassessment of all real property in the City's jurisdiction. Virginia law requires that assessments be uniform and based on 100% of fair market value. 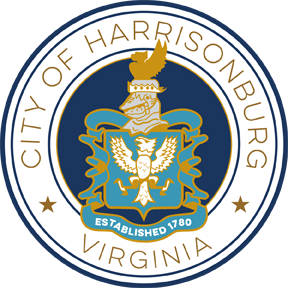 The goal is to assess and maintain real property information in the City in a fair and equitable manner to ensure that each taxpayer bears only their fair share of the real property tax burden. 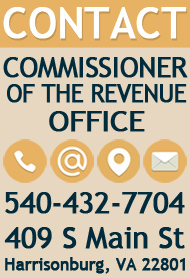 The Real Estate office administers the city land use and tax relief programs. Elderly or Disabled Tax Relief on your home and one automobile is available. 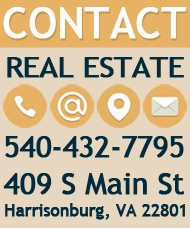 To see if you qualify you can contact the Real Estate office at 540-432-7795. Application deadline is May 1. [52KB] Relief Application. The Real Estate office has completed the 2019 general reassessment. Values become effective January 1, 2019 and will be reflected on the December 5, 2019 tax bill.